uPVC conservatories have been the most popular choice for years- offering style, efficiency, versatility and no maintenance. 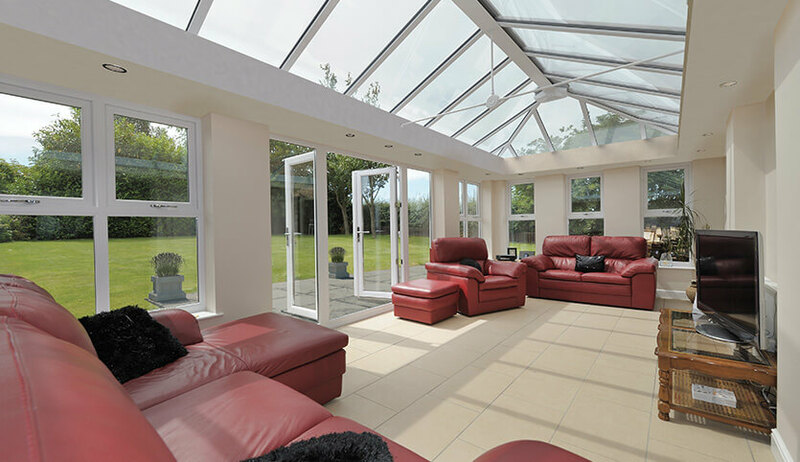 With a wide range of colours, styles and design options, a uPVC conservatory will transform your home. It can easily be adapted to your home’s style whether that’s modern or traditional and can be customised to create a bespoke space for your home. 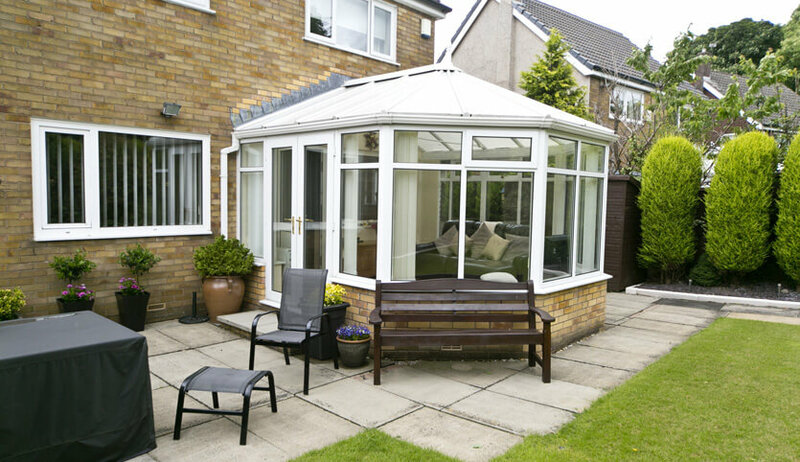 What are the benefits of a uPVC conservatory? UPVC does not fade, chip or flake – meaning you won’t have to deal with time consuming pricey maintenance further down the line – perfect for those of us with busy lives and poor DIY skills. uPVC is a cost-effective material so no-one has to go without a stunning conservatory to enhance their home. This doesn’t affect its performance or quality. This brilliant made to last material is easy to clean, stays looking perfect, offers increased energy efficiency and remains strong against force. 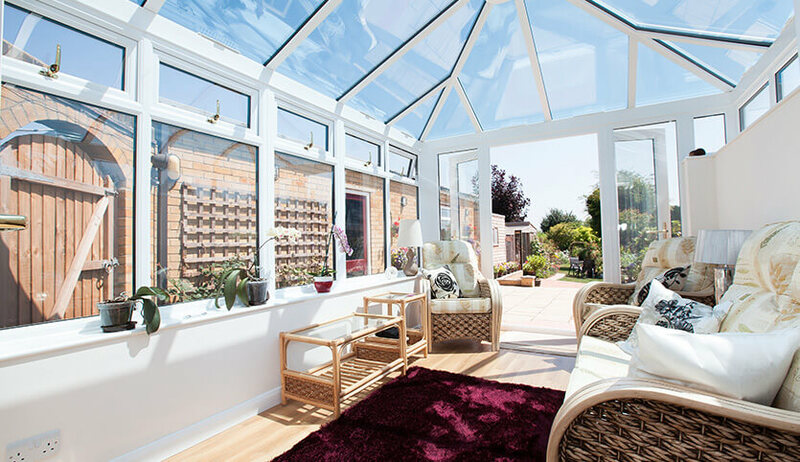 The energy benefits of uPVC and our glazing options allow you to enjoy a conservatory that’s comfortable all year round and will keep the heat in and cold out during those winter months – saving you money and your heating from going to waste. Strong and secure, uPVC keeps your home safe and prevents intruders from gaining access to the property via your conservatory. 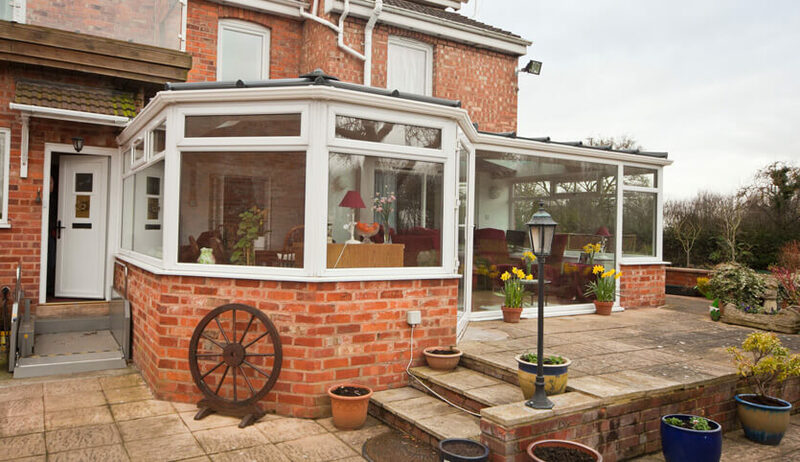 Design features mean that your conservatory will be useable all year round thanks to better insulation and ventilation so you no longer have to avoid your conservatory in deepest darkest winter or the most sweltering of summers. Our high performance uPVC Conservatories are available in in a broad range of traditional and contemporary styles to suit your home. Available in the gable or Victorian styles, these are a great choice for those who want to create two separate areas. 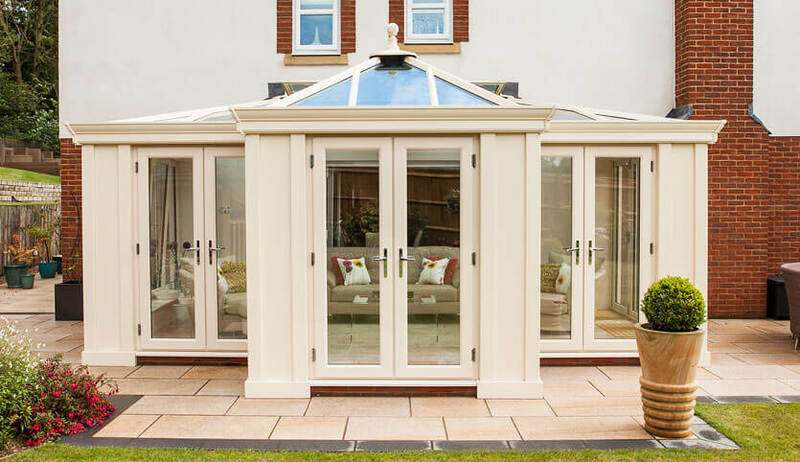 Ideal for larger properties, P-shaped conservatories make the most of your space and can be a great way to introduce open-plan living.